Take reflected readings: Tap the camera button to select the view from the back camera or the front camera as desired. Cine Meter II will measure the exposure over the entire image shown. 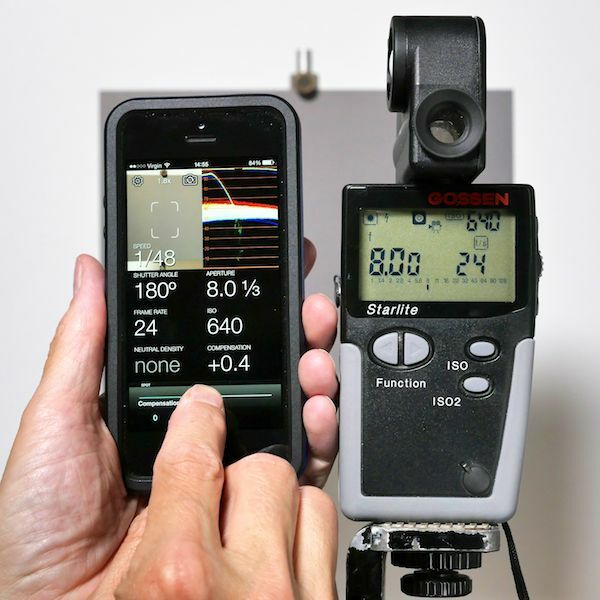 Tap the spot meter button to turn on the spot metering frame and measure only the area inside that frame. You can zoom the camera on most iDevices: drag the picture up or to the right to zoom in, or left / down to zoom out. Zooming the camera automatically turns on spot metering. Freeze the reading by tapping on the toolbar, then tapping anywhere on the screen. To capture a screenshot, tap and hold the picture 1 second—the background will flash white when the image is captured. By default, Cine Meter II calculates aperture: aperture “floats” as the light changes and as you adjust other settings. You can float shutter, ISO, or ND instead. Tap and hold the value you want Cine Meter II to calculate until its background turns gray, and it will float with the changing light. For example, you can float ND: set your desired shutter, aperture, and ISO, and see what ND filter you'll need. 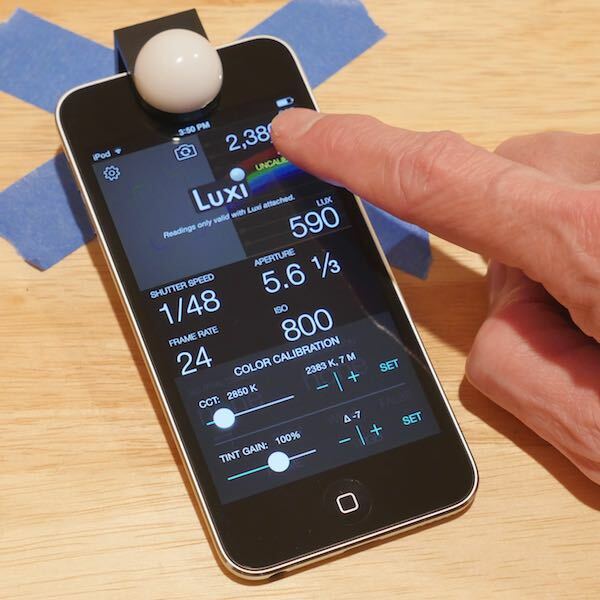 Take incident readings: Use a Luxi or Lumu Lite attachment for incident readings (if you don't have either one, you can tape a small piece of color-neutral diffusion like Lee 216 over the camera, and use the Luxi setting). Note: only Lumu Lite (headphone-jack version) is supported, not Lumu Power (Lightning-port version). After enabling Lumu or Luxi in Help and Settings, tap the camera button until the incident-reading screen is shown: “Luxi” will appear when Luxi metering is selected; “Lumu” will appear when Lumu is chosen. Incident readings are only valid when the Luxi or Lumu logo appears onscreen and the corresponding device is used. When using Luxi, cover the camera with the Luxi photosphere (the Luxi screen is semitransparent so you can see when you have the photosphere properly positioned over the camera. If your Luxi isn’t centered over the camera, you’ll see the Luxi frame in the corner or edge of the image, and the waveform will be unbalanced even under direct, frontal light). When using Lumu, plug the Lumu into the headphone jack. Use Difference Measurement: when the full-screen EXP LOCK button is shown, use the DIFFERENCE MEASUREMENT switch in the top left corner to control difference measurement. When Difference Measurement is off, locking exposure locks the camera, so you can visually compare exposures. When Difference Measurement is on, the camera is not locked, but varies its exposure as needed to measure changing light. 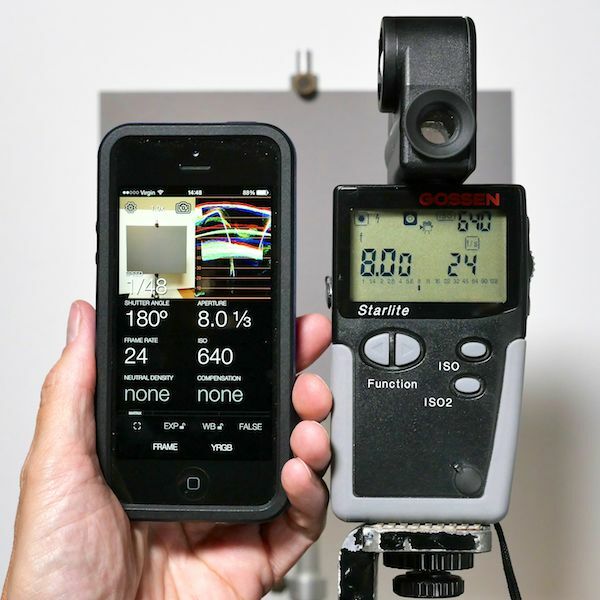 Difference Measurement shows the difference between your locked exposure and color readings and the current values (color readings require iOS 8 or later). Exposure difference is shown on the left of the picture, as exposure values (EV, stops) above or below the locked exposure. If the difference exceeds your warning levels, the readout’s background turns red for overexposure or purple for underexposure. Adjust the warning levels in Settings. Color difference is shown on the right side of the WFM, as correction gels needed to match the current light to the locked values: CTO or CTB for color temperature, +G or -G (plusgreen or minusgreen) for tint. Tap the color difference values to toggle between gels and raw differences in Kelvins and CC units. The color corrections shown are approximate, and should always be verified by looking at the corrected light using your production camera! Tint correction values shown are appropriate for full-spectrum sources. With fluorescents, LEDs, and other “discontinuous spectrum” sources, you will typically need 1/2 to 2/3 of the tint correction shown. If you prefer, you can adjust Tint Gain to show -15 to -20 for a minusgreen gel under tungsten instead of -30, and the suggestions are more likely to be correct under the sources where you need tint correction in the first place. 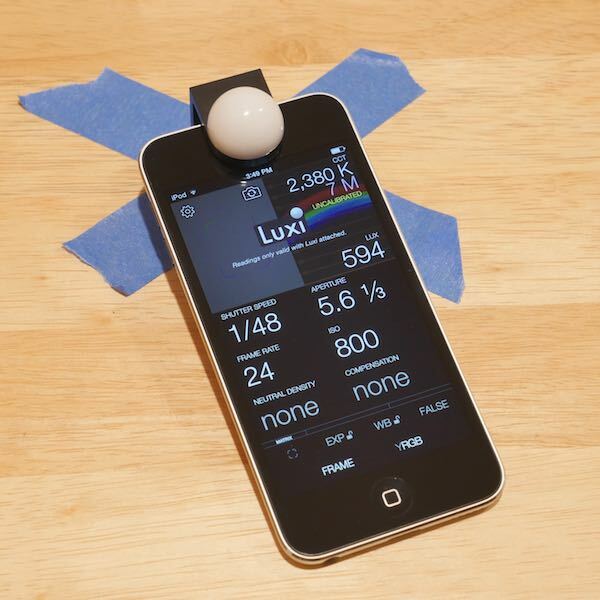 Calibrate the exposure meter: Each “sensor position” has its own calibration: front camera, back camera, front Luxi, back Luxi, and/or Lumu. Each position needs to be calibrated separately. 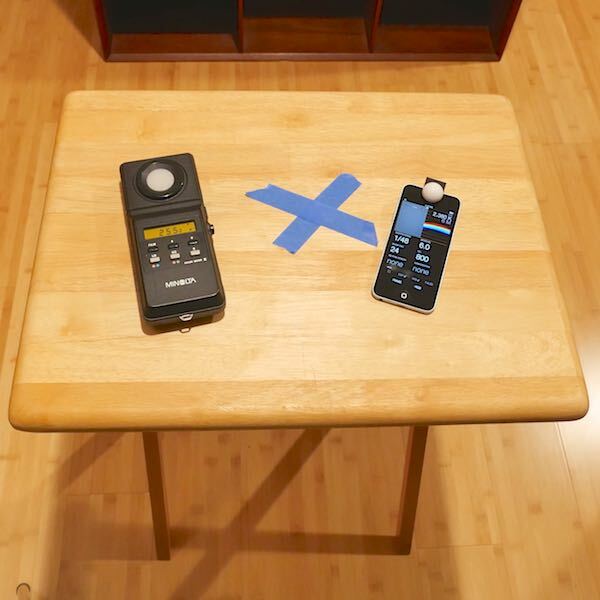 The best way to calibrate is to measure Cine Meter II against a known-good reference meter: an accurate reflected light meter for front and back camera calibrations, and a proper incident meter for Luxi and Lumu calibrations. If you don't have access to another light meter, you can use the light meter in your DSLR or video camera, but you may find you have to manually adjust the results a bit by trial and error, since camera exposure often differ from the “correct” exposure value, as described here. For all calibrations, the easiest way to proceed is adjust the COMPENSATION value on Cine Meter II's main screen until Cine Meter II matches your reference. Then press the Cal... button on the COMPENSATION slider set the calibration (with Cine Meter II version 1.4 or earlier, there is no Cal... button; you’ll have to manually add the COMPENSATION value to your calibration in Help and Settings, and then reset COMPENSATION to 0 when you're done). Here's a step-by-step picture guide. Note: hold Cine Meter II in portrait (vertical) mode to see the Cal... button. It doesn't appear in landscape (horizontal) mode. For the back camera, shoot a gray card or other solid, evenly-lit target with Cine Meter II and your most trusted reflected meter, DSLR, or video camera. Use the Cal... button, or adjust the Back Camera Calibration (in Meter Compensation, on the Help and Settings page) to make Cine Meter’s readings match those of your reference device. (The picture monitor and waveform monitor are unaffected by any compensation you set; the iDevice’s camera always sets its own exposure). For the front camera (the camera that looks at you from the front of your iDevice), either stand next to your gray card so you can see the screen while aiming the camera at it, or use a large, evenly-lit wall as your target, face away from it, and aim the front camera over your shoulder. 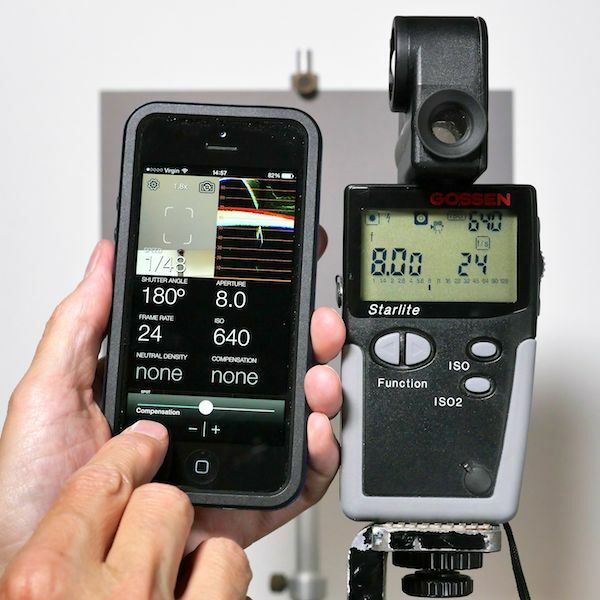 Shoot the same target with your reference reflected meter or other camera. 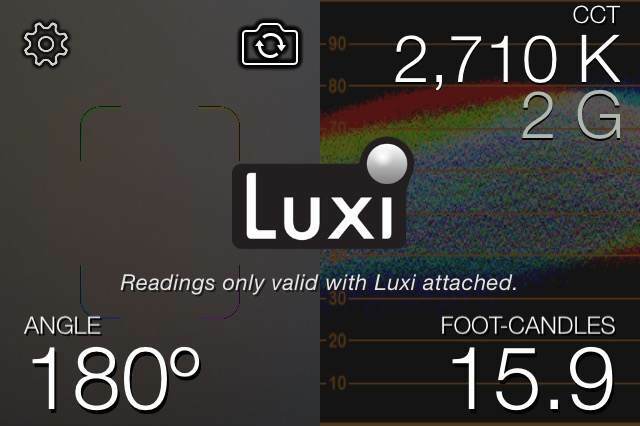 For the Luxi calibration, enable Luxi mode on the Help and Settings page, clip the Luxi photosphere in place, and tap the camera button until the Luxi screen appears. Then compare Cine Meter II with another incident meter. 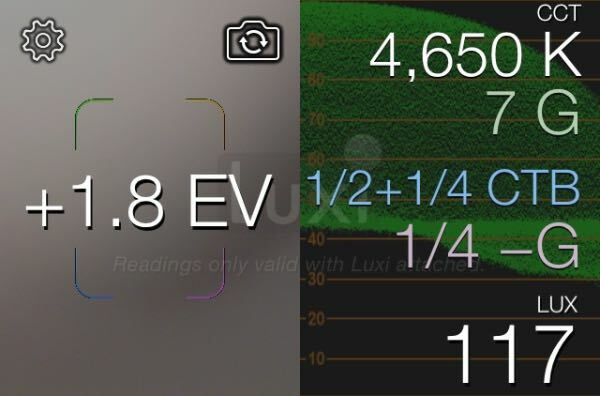 If you don't have access to another incident meter, take a reflected-light reading from an 18% neutral gray card, and set Cine Meter II's Luxi calibration about 1/2 stop wider (less sensitive, -1/2 stop) than your reflected reading indicates. Note: Luxi and Luxi For All are calibrated the same way, but they are not interchangeable. Luxi For All gives readings that are about half a stop brighter than the original Luxi. If you change your Luxi attachment, you'll need to recalibrate Cine Meter II. 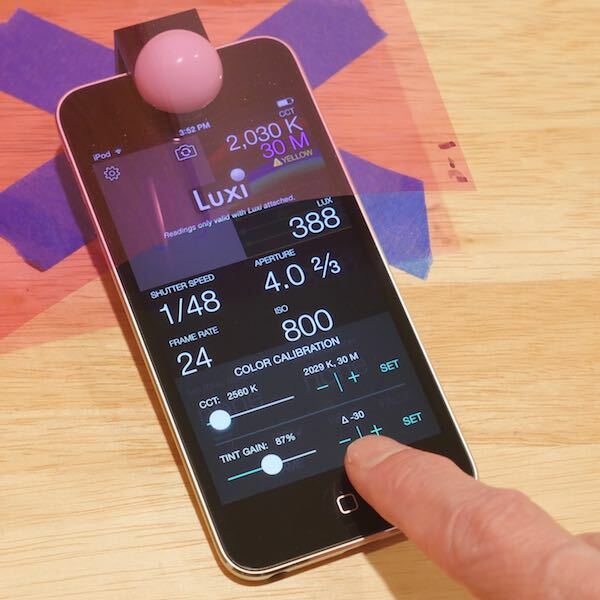 Lumu calibration is done just like Luxi calibration, only using Lumu. For the most precise calibration, set Lumu Color Trim for the approximate color temperature of your calibration lighting setup. In any incident mode, adjust calibration using the aperture readout, not the lux/fc readout. The compensation control doesn't affect lux/fc, so you won't see lux/fc change as you adjust compensation. After you calibrate with a compensation, lux/fc will change accordingly, but not before you have set the calibration. Check exposure: aim the camera at the scene, and read off the exposure. Use the spot meter if necessary to narrow down the area of interest: tap the spot meter button or drag the picture up or right to zoom the spot meter. You can tap to freeze the reading, and then vary the exposure settings even if you are no longer pointing the camera at the scene. Note that locking exposure also locks the color reading (if shown; requires iOS 8 or higher). Compare exposures visually: aim the camera at a gray card or other reference target, and tap . Make sure DIFFERENCE MEASUREMENT is off and tap the screen to lock exposure. Cine Meter II will lock the camera’s exposure, letting you walk around the set and look at the waveform monitor and false-color displays to compare light levels to your reference. Check lighting evenness: when you need flat, even lighting (on a greenscreen, white cove, test charts, or flat art), Cine Meter II’s waveform monitor shows you the relative light levels across the camera’s field of view in a single glance. It’s a lot quicker to use the waveform monitor than to spot-meter several points across the field of view, or to take multiple incident readings to get the same information. Tip: many iDevice cameras vignette at wide angles—their pictures are darker at the edges than in the center—while some darken the center of the image when zoomed in slightly. For example, on iPhone 6/6Plus you may see a darker band running through the picture horizontally in portrait mode, or vertically in landscape. Check to see if the unevenness in lighting moves when you pan or tilt the camera: if it doesn’t move, it’s the camera’s unevenness you’re seeing, not the scene’s. Instead of just holding your iDevice still, sweep it across the scene as you watch the WFM, and you’ll get a more accurate picture of how even the scene lighting is. Compare color temperatures visually: using and the RGB waveform monitor makes it very simple to compare LCD displays, different LED lights, or any other combinations of radiant or reflected lights. If you use on a known-good source (or a white card illuminated by it), the differing RGB levels when looking at another source will indicate how you have to color-correct it to make it match, without the subjectivity of the human eye, and with the color sensitivity of a digital camera (so it's more likely to match your production camera’s color sensitivity). See various usage examples on the original Cine Meter How To... page. Use Lumu Color Trim: Compared to most digital cameras and many other light meters, Lumu is slightly more sensitive to daylight than to incandescent light, even more sensitive to green light, and relatively insensitive to red light. 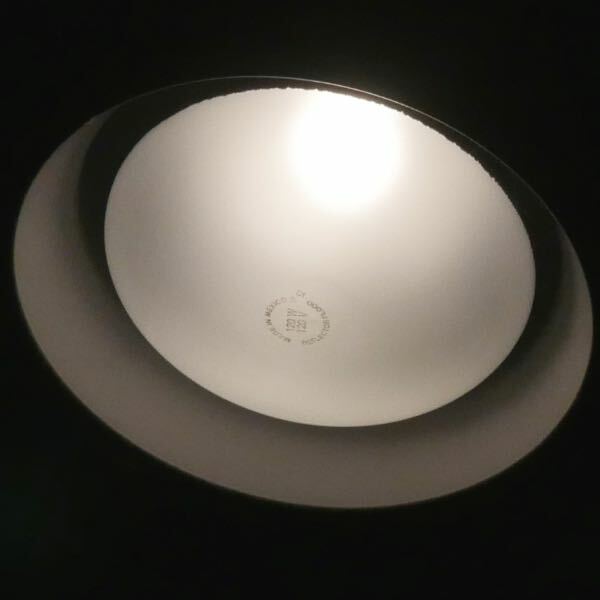 Lumu is used worldwide without problems, since the variation between daylight (5600 K) and tungsten (3200 K) measurements is less than a stop. Lumu’s default calibration is in the middle of this range, so you can meter in most lighting conditions and always get a good reading: +/- 0.3 stop is well within the margin of error for most work. But if you need higher precision, Color Trim allows Lumu to be adjusted for light of a particular color. With Color Trim enabled, the trim value and light color are shown. Tapping the Lumu logo displays the Color Trim slider. Everything else is very much a judgement call. Fluorescents typically have a “green spike”, so adjusting Color Trim one click towards Green compared to the nominal color temperature often helps. You may want to be trimmed entirely Green on a green-lit greenscreen set; between 3200K and Red near sundown; or all the way to Red when metering on a set lit by saturated red light: think of a photographic darkroom’s safe light or an aircraft’s red-lit cockpit at night. Color Trim isn’t required, it’s just a fine-tuning adjustment. You can meter in 99% of the lighting conditions you’ll encounter and get a perfectly good reading even if you ignore Color Trim. But if you need higher precision and consistency, Color Trim is helpful. Exposure adjustments for each setting. From Green to 3200K is only one stop. From 3200K to Red is 2.7 stops, but these are adjustments for very saturated yellowish- to reddish-colored light, not everyday lighting conditions, and when you get very saturated colored light like that you’ll want to test your exposures anyway, regardless of what meter you’re using. 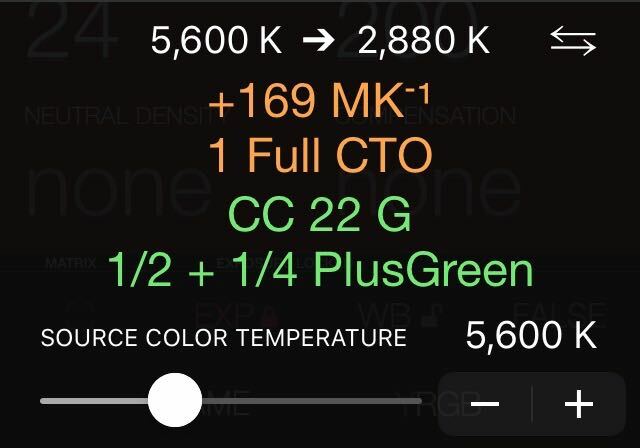 Calibrate the color meter (requires version 1.6 or newer, iOS 8 or higher): Color temperature / tint values are shown in Luxi incident modes, and can be enabled for reflective modes in Help and Settings. Each “sensor position” has its own calibration: front camera, back camera, front Luxi, and back Luxi. Each position needs to be calibrated separately. For best results, use a tungsten light for calibration. If you have a recent (2016 or later) LED lamp with high CRI you can try calibrating with it; see Indie Cinema Academy's LED database for actual color temperatures and CRIs for many lamps. Calibration under older LEDs, fluorescents, HMIs, and plasmas will likely give you inaccurate results. Take a color temperature reading with a trusted color meter or digital camera, or assume 2700 K for household incandescent lamps or 3100 K for motion picture tungsten lamps. This reading is your target color temperature for calibration. A color meter or digital camera measurement gives you the best results, but calibration with assumed values usually works very well. In Luxi (incident) mode, place Cine Meter II exactly where you took the reading with the other color meter. In reflected mode, aim Cine Meter II at a color-neutral target, such as a white-balance card or neutral gray card, placed where the other color meter took its reading. Adjust CCT: to your target color temperature: use the slider or the -|+ buttons (tip: you can preset the color temperature, then place or aim Cine Meter II as needed and tap SET). Whenever you drag the slider or tap +, -, or SET, you save the current value as the calibration, so make sure your final drag or tap is under your calibration light. Tap the color temperature and tint numbers at the top right corner of the display again to hide the calibration panel. Tint is automatically set to 0 during calibration. Reminder: Cine Meter II recalibrates whenever you adjust the CCT: controls. 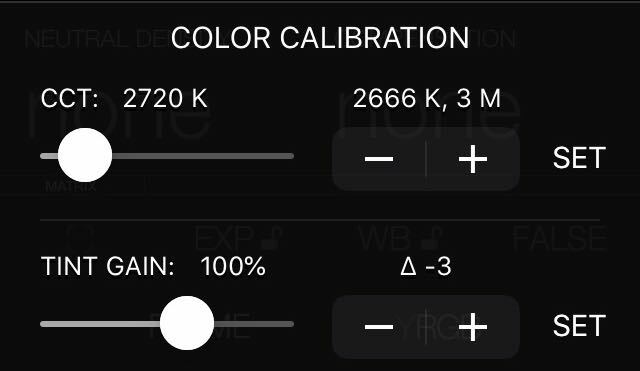 If you adjust the slider or use the -|+ buttons while Cine Meter II is not looking at the calibration light, be sure to tap the SET button under the calibration light as the last thing you do. Tap and hold the color temperature and tint numbers at the top right corner of the display to show the COLOR CALIBRATION panel. Cover the Luxi (incident mode) or the camera lens (reflected mode) with your green or magenta gel. Adjust TINT GAIN: reading: aim for ∆ -30 with a minusgreen gel, or ∆ +30 with a plusgreen gel. Turn the lamp on and let it warm up for 15–30 minutes. Take a reading under the nasty fluorescent light. Adjust TINT GAIN: for ∆ +30. You may find that setting a value of 30 gives you too much correction. Feel free to use lower values (even as low as 15 or 20) if those work better for you. You can adjust tint gain under any lighting: all you're doing is setting a gain value, so you can tweak it whenever you feel like it without disturbing other calibration values. Here’s a step-by-step picture guide. Tap and hold the color temperature/tint values in the upper right corner of the screen to display the color calibration panel. You'll see two sets of settings, each with a slider, -|+ buttons, and a “SET” button. The two rows of controls are completely independent. You can adjust a setting using any control: the slider or -|+ to change a value, SET to re-apply the current value. The value above the slider is the target value or gain setting; the value above the -|+ is the current reading. - CCT: settings set the correlated color temperature calibration: set CCT: to match the color temperature reported by your reference meter, while reading the same light source. Use these controls only when you’re under your calibration light source, or you will reset your color calibration to something very wrong! - TINT GAIN: settings adjust the sensitivity of Cine Meter II to tint (green/magenta) changes. Set Tint Gain for a change of +/- 30 when you cover the sensor with a minusgreen or plusgreen gel. You can adjust this setting at any time if you need to increase or decrease its sensitivity without affecting the overall color calibration. A color meter you trust (No meter? You can make some assumptions; read on...). For the gels, a swatch book works fine: you only need gels big enough to cover the Luxi photosphere. If you don't have and can't borrow a color meter, you can use a camera that shows you its white balance values in Kelvins, or lets you assign the white balance in Kelvins. Or, you can assume the temperature and tint values needed, and correct them later based on experience or the sudden availability of a color meter. Assume 2700 K for household incandescents, or 3100 K for tungsten motion picture lamps. The CCT adjustment sets the current temperature to your selected value, and sets tint to zero. Set CCT under a tungsten light source. Measure this source with a properly calibrated color meter (the meter should be in digital mode, not film mode, if it gives you the choice). If you don't have access to a color meter or digital camera, assume 2700 K for standard household incandescents, 2750K for bright household halogen lamps, or 3100K for tungsten film lights. Even a rough calibration of this sort is likely to be better than your iDevice's uncalibrated default setting. Tip: if you use this “guess your best” method, and you find the meter is still reading low (too warm), recalibrate under the same light at a higher target CCT, e.g., 2800 K instead of 2750 K. If your readings are too high (too cool), recalibrate with a lower target value, e.g., 2700 K instead of 2750 K. Repeat as needed until you find the target CCT value that gives you good readings that agree with your reference meter (if you have one) or with practical results. 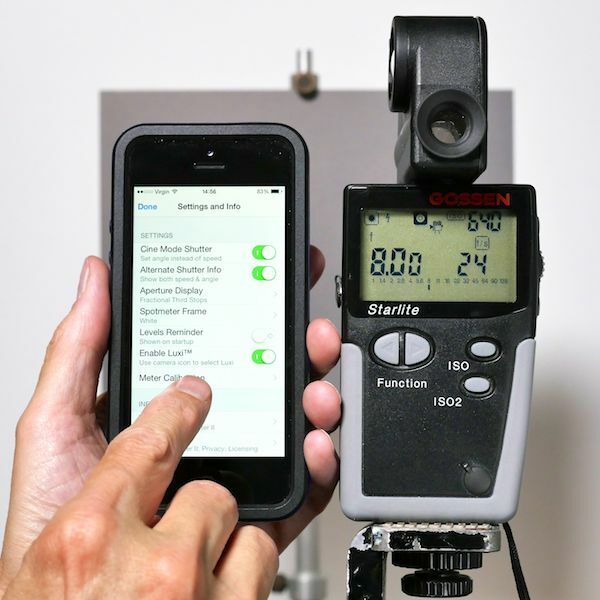 Adjusting the CCT: controls causes Cine Meter II to read the current light as your targeted temperature and tint, so make sure you only adjust CCT: controls under your calibration lighting setup! Tint Gain: adjusts green/magenta sensitivity. Under tungsten incandescents, cover the photosphere with a full minusgreen filter, and adjust Tint Gain for ∆ -30. With a plusgreen filter, aim for ∆ +30. (These values assume that tint gain's ∆ value starts at 0; if not, aim for a difference of +/- 30 compared to the starting value.) The tint values here and on the main display are CC or Wratten filter values. 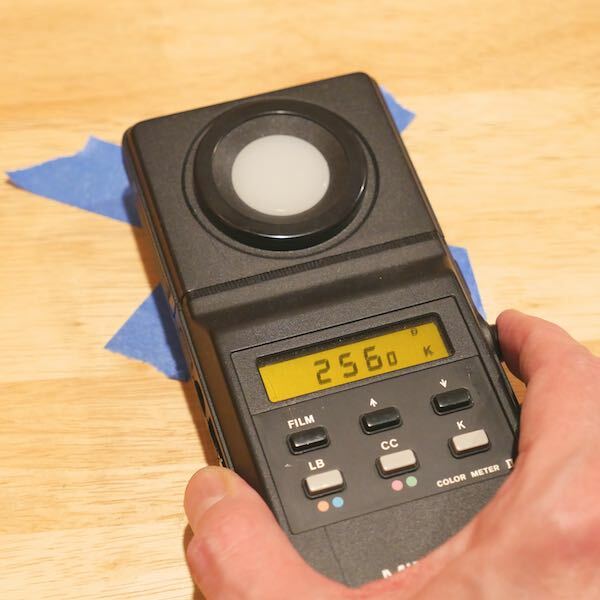 If you find that this tint gain calibration causes Cine Meter II to overestimate tint correction under fluorescent or LED lights, you might want to set ∆ values of 15 to 20 instead of 30, or simply fine-tune the Tint Gain setting as you work. Tint Gain can be adjusted at any time, under any lighting conditions, without changing the basic temperature/tint calibration of Cine Meter II. All you're doing is adjusting how strongly Cine Meter II reacts to tint differences, so feel free to tweak it whenever you feel like it. Just don't touch the top-row CCT: controls unless you’re under your calibration light source! 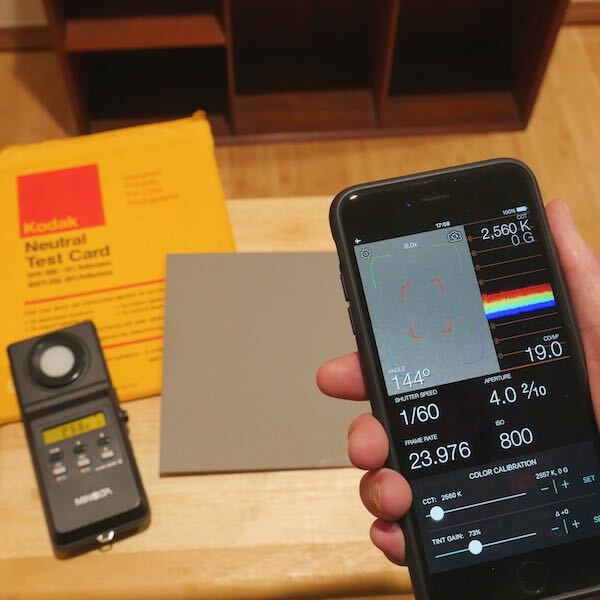 Measure your light: Use your reference color meter to measure color temperature under your calibration source. 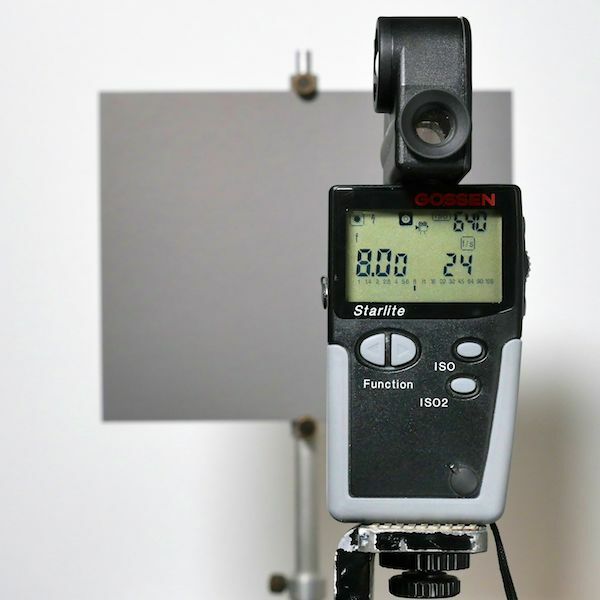 If you're using a camera with a white-balance setting or readout instead of a color meter, place a color-neutral reflective reference such as a white-balance card or the white/gray side of a DSC Labs OneShot chart under your light source, and adjust your camera to it: press AWB and see what reading the camera gives you, or dial in white balance with the Kelvin control until the image is neither warm nor cool. Display Cine Meter II's color calibration panel. Place Cine Meter II in exactly the same spot as your reference meter, and adjust CCT controls to match your other meter as closely as possible. Alternatively, set CCT to your target value, put Cine Meter II in the measuring position, and tap the SET button to calibrate to the target values. CCT should match your other meter's reading to the closest 10 K value. Using a plusgreen or minusgreen gel and a tungsten source, as described under Tint Gain above, to set tint gain. 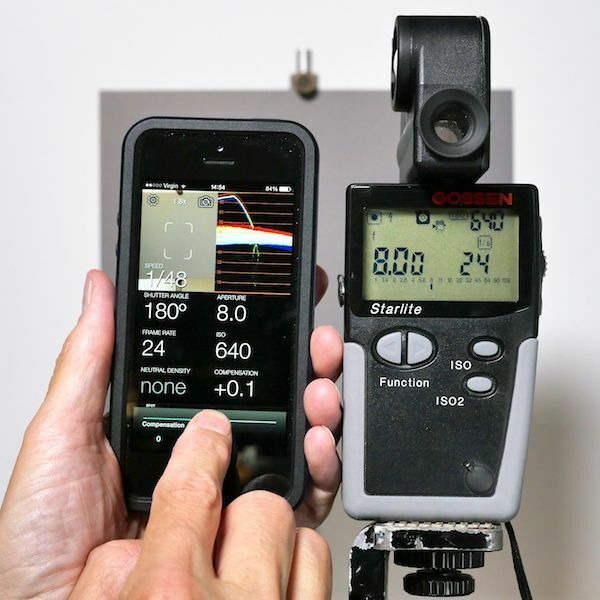 Alternatively, measure a nasty household or industrial fluorescent light, unfiltered, and set tint gain to +30. It’s not as bad as it sounds: here’s a step-by-step picture guide. You can re-adjust the Tint Gain at any time without affecting the basic color temperature and tint calibrations. You may find that the meter will overestimate the tint corrections needed for fluorescent lights, HMIs, plasma lights, and LEDs; if you prefer, you can adjust tint gain for a reading of -15 to -20 with a full minusgreen gel for more accurate readings under those sorts of lights. Note: calibration is required for each “sensor position” you enable; the front and back cameras are different, and they give you different results in incident and reflected modes, too. 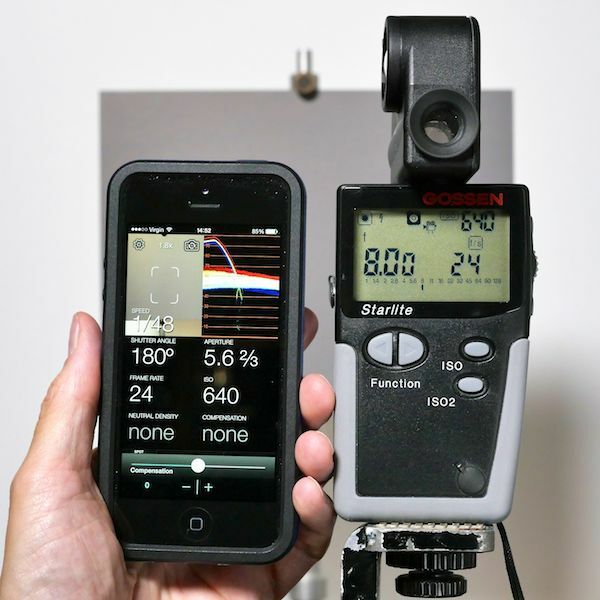 If you Enable Front Luxi, you have to calibrate it separately; if you turn on Show Reflected Color in Settings, you'll need to run calibration for your reflected-mode cameras, too, using a color-neutral target illuminated by your calibration light source. Measure color temperature and tint (version 1.6 or newer, iOS 8 or higher): In Luxi mode, aim the photosphere at your light source, just as you would with a color meter. If you don’t have a Luxi, you can fake it with a piece of Lee 216 or other color-neutral diffusion taped over the camera. You can enable Luxi for the back camera as well as the front camera: Settings > Enable Back Luxi. You can enable color temperature readings in reflected-light mode: Settings > Show Reflected Color. For best results, aim the camera at a color-neutral target like a white-balance card or a DSC Labs OneShot. A colored, rounded-corner frame, like the spotmeter frame, appears in the live image to show you the area in which color is measured. It's accurate at 1.0x magnification but only approximate when you zoom in. You may see a warning message under the tint readout. “UNCALIBRATED” means that you haven't calibrated this sensor position yet. A warning sign followed by a color name indicates that the light has more of that color than Cine Meter II can compensate for: results may be less accurate than normal—in practice, Cine Meter II seems to measure color fairly well even when the warning is visible. 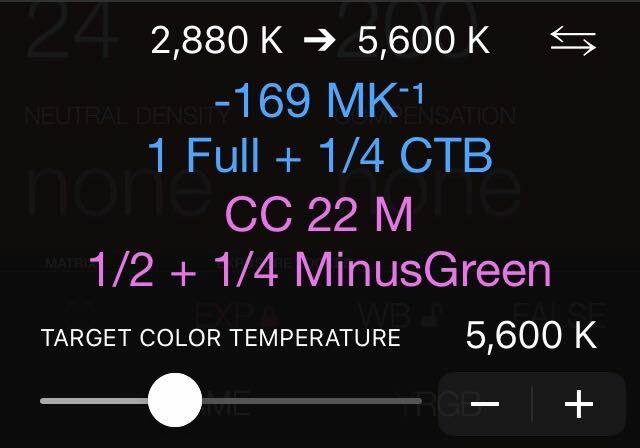 Correct color temperature and tint (version 1.6 or newer, iOS 8 or higher): Tap the color temperature/tint values onscreen to show the Color Correction Panel. The panel shows the correction needed to correct the meter's reading to your target value (target mode, as when correcting lighting to match your camera's white balance), or to correct your source value to match the meter's reading (source mode, as when you need to gel lights to match ambient lighting). Toggle between these modes with the ⇆ button. In Target mode, adjust the slider for your production camera’s white balance setting, and the panel will show you suggested gels to match the lighting to the camera. In Source mode, set your source color temperature using the slider, and the panel will show you the gels you need to use to match your lights to the ambient color temperature. Versions 1.6 and 1.7 only show Target mode corrections; update to 1.8 or newer for Source mode. Readings are approximate, and should be verified by looking at the corrected light using your production camera. CC gel correction values are appropriate for full-spectrum sources. With fluorescents, LEDs, and other “spiky spectrum” sources, you typically need 1/2 to 2/3 the correction shown. If you wish, you can adjust the Tint Gain to show -15 to -20 for a minusgreen gel instead of -30, and the suggestions are more likely to be correct under the sources where you're more likely to need tint correction in the first place. Launch Cine Meter II from another app: to open Cine Meter II from an automation app like Workflow or Launch Center Pro, use the URL scheme “cinemeterii://”. Record brightness and color logs: Cine Meter II can record a log of brightness and color values over time for later analysis. Data are stored in a plain-text, comma-separated-values file you can open in a spreadsheet or text editor. Enable logging with the Show LOG Button in Help and Settings, and set the interval between data points with the Log Interval slider. When Show LOG Button is on, a LOG button will appear on the left side of the picture. Tap the LOG button to start recording; it will change to a red REC button. The log will record the brightness, and color temperature and tint when available, at the specified intervals. Tap REC to stop logging. A pop-up alert will show you the log name and its size, and let you view the list of recorded logs. Logging will also stop if you tap the or buttons, show the iOS control or notification panels, close the app, or let your iDevice sleep. The log is still saved in the Logs list in Help and Settings. Do not lock the camera’s exposure or white balance while logging, or you may not get accurate results. If you use make sure DIFFERENCE MEASUREMENT is turned on so that the camera remains unlocked. When the light changes suddenly it can take the camera a few seconds to adjust its exposure, during which time color values can be wildly inaccurate. This is obvious if you’re watching Cine Meter II when it happens, but it may not be obvious when you're reviewing logged data. If you see extreme swings in color data, especially momentary negative spikes in tint values, at the same time as exposure is changing, that’s likely to be a measurement artifact, not valid data. If you let them, logs will record until your iDevice runs out of memory, at which point Cine Meter II will be terminated by iOS (and the offending log will be lost). Consider that a 24-hour log at 1-second intervals would have 86,400 lines and consume about 1.7 Megabytes. The same log at 30-second intervals would have 2,880 entries and fit in 57 kilobytes. If you wish to record logs over a very long period, pick an appropriate sampling interval to avoid data overload. Both your iDevice’s memory and your subsequent data analysis workload will thank you! Logs are stored until you delete them. Tap Logs in Help and Settings to show the log list. You can tap a log for sharing and viewing options. Slide left on a log to delete it. Logs can also be managed using iTunes sharing. 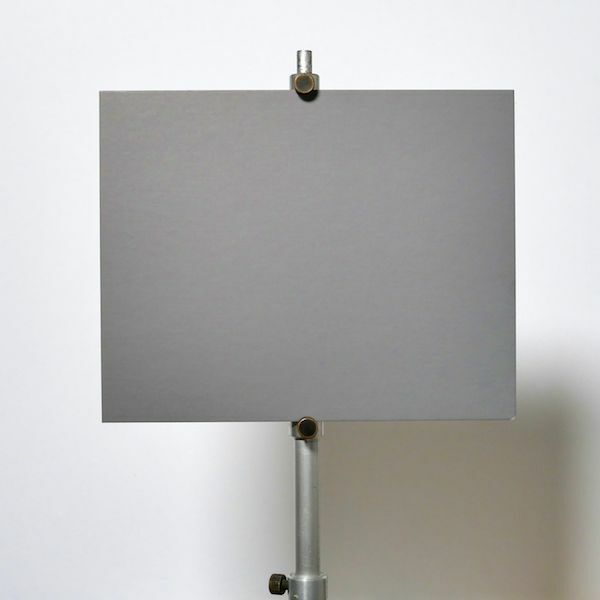 You'll need a flat, evenly-lit target, like an 18% neutral gray card. Use your reference meter to take a reading. 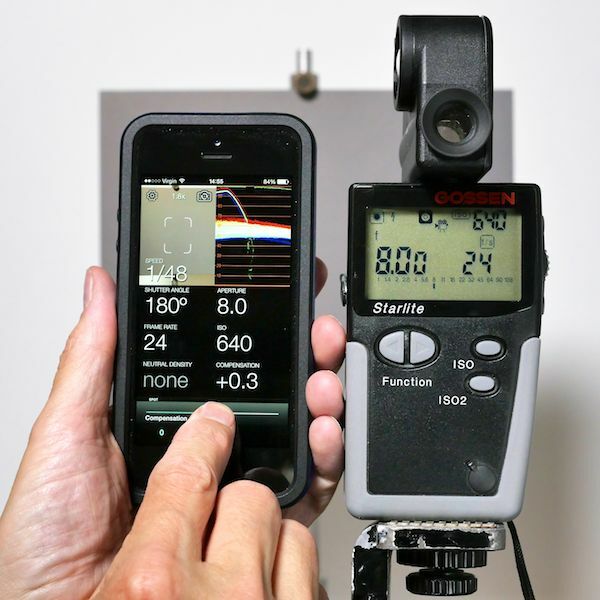 If you don't have a reference lightmeter, you can use your camera's meter instead. For the most accurate results, your camera should be in a normal gamma (e.g., STD, Rec.709, etc. ), not Log, SLog, LogC, Cine-Like, Cine D, Cine V, V-Log, etc. If you're using a Blackmagic camera, it should be in Video mode, not Film mode. 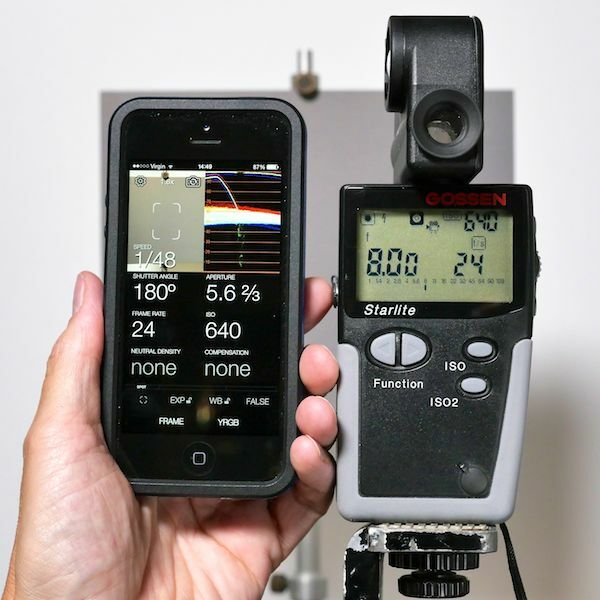 Cameras may not give exactly the same reading as a stand-alone meter because cameras often “expose to the right” (opening up as much as a stop above what a separate lightmeter measures). If your camera has a histogram, see if you can adjust the camera so that the spike in the histogram is at the 40% - 50% brightness level for the most accurate results. Cine Meter II looking at the same target. Its view is too wide, so move closer, or use the zoomable spotmeter to see only the gray card. To adjust the reading, tap COMPENSATION. The COMPENSATION slider appears, with +/- buttons for fine adjustment, and a 0 button to reset it. ...but at +0.4, the reading is now 1/3 stop too fast. As +0.1, +0.2, and +0.3 all work, I used the middle value of +0.2. If you’re using Cine Meter II version 1.5 or newer, simply tap the Cal... button on the COMPENSATION slider once you have your desired compensation. The compensation will be added to the current calibration, and compensation will be reset to zero. 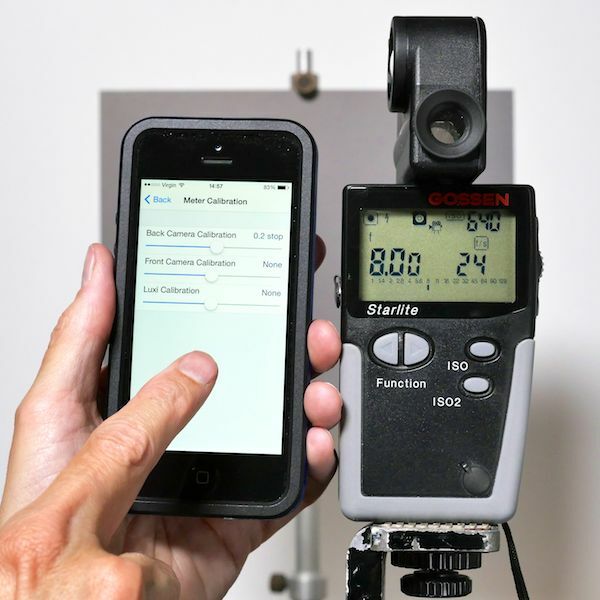 That’s it, you’re done; skip ahead to read about front camera and incident-meter calibration. Tap the button to open Setting and Info, and then tap Meter Calibration. I've set Back Camera Calibration to 0.2 stop. Don't forget to zero out COMPENSATION once you're done! Now, Cine Meter II's reading matches my reference meter. Calibrating the front camera is done the same way: simply stand behind your gray card so you can see what you're doing. 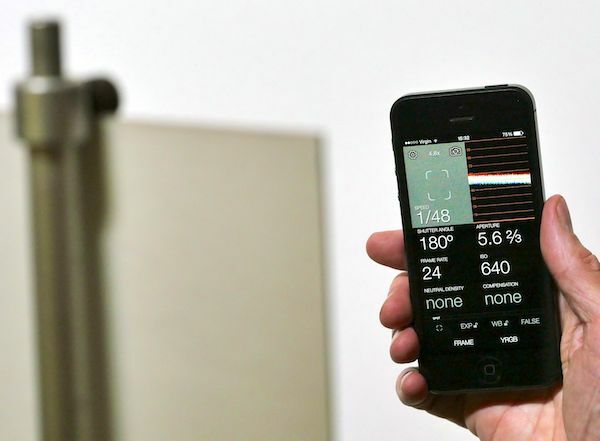 Alternatively, you can use a large, evenly-lit wall as your calibration target: sit or stand facing away from the wall, and aim your iDevice's front camera over your shoulder to take a reading. 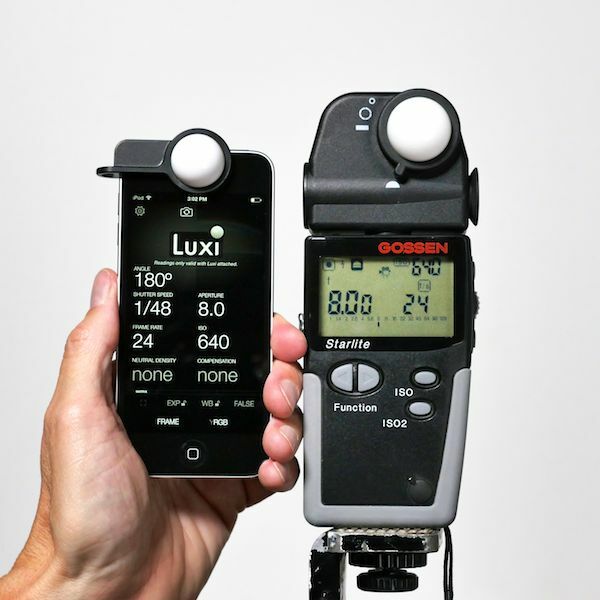 If you don't have an incident meter, you can use your reflected-light meter or camera's meter reading an 18% gray card, and set Cine Meter II's Luxi calibration to 1/2 stop less than your reflected meter reads. For example, if your reflected meter reading on a gray card is f/8, set Luxi calibration to read 5.6 1/2 (fractional half stops) or 6.7 (decimal half stops). You'll need a tungsten (incandescent) light of some sort. You don't need a "movie light"; here I'm using a 120W reflector flood installed in a ceiling can in the hallway. Take your reference reading at the designated spot. Take several readings to ensure that you've got a good, average value; color temperature readings can be highly variable, so never trust just one. If you don't have a reference meter, calibrate to 2700 K under standard household tungsten lamps (60W or higher); 2750 K with a bright household halogen lamp; or 3100 K under a “3200 K” motion-picture tungsten light. This assumed-value calibration won’t be perfect, but it’s likely to be more accurate than the uncalibrated reading. If you use this “guess your best” method, and you find the meter is still reading low (too warm), recalibrate under the same light at a higher CCT, e.g., 2800 K instead of 2700 K under household tungsten. If your readings are too high (too cool), recalibrate with a lower value, e.g., 2600 K instead of 2700 K. Repeat as needed until you find the target CCT value that gives you a good calibration. Next, put Cine Meter II with the Luxi on the same spot. Make sure you're in Luxi mode, with the Luxi logo showing. Tap and hold on the color readout to display the COLOR CALIBRATION panel at the bottom of the screen. Calibrate CCT: Using the CCT slider, +|- buttons, and/or the SET button as needed, set the CCT to the same value you got with your reference meter. Calibrate tint: cover the Luxi with a full minusgreen gel, and use the TINT GAIN slider, +|- buttons, and/or SET button as needed to get a reading of ∆ -30 (“30 M” on the main readout). If you only have a half minusgreen gel, aim for ∆ -15 instead. If you use a full plusgreen gel, ∆ +30 or “30 G” is your target. If you have both minusgreen and plusgreen gels, don't be surprised if the gels give different numerical values. You can choose to split the difference (e.g., -25 for the minusgreen and +35 for the plusgreen), or just use the minusgreen gel for calibration. If you don't have any color correction gels, take Cine Meter II to someplace with standard household / office fluorescent lights, and adjust TINT GAIN for a value of ∆ +20 to +30 (do not touch any of the CCT calibration controls when you do this; only use them under your CCT calibration light). Fluorescents vary in their green content, but +20 to +30 is a good starting point if you don't have any gels. If you turn on Show Reflected Color, calibrate it by focusing on a gray card or white-balance card placed at your target spot. Use Cine Meter II's zoom function to focus in closely on it. 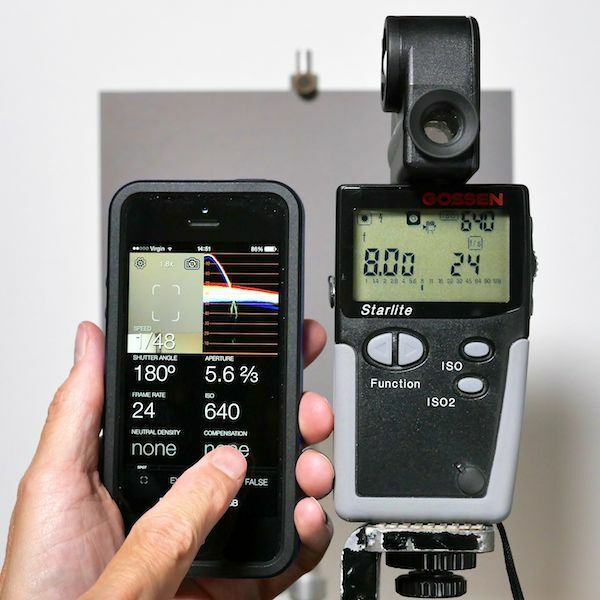 For tint calibration, hold your gel in front of the camera's lens. When you're done, just tap the color temperature/tint readout again, and the calibration panel will slide out of the way.